It's been a while since a guest post made me giggle as much as this one, while also totally making me want to read the author's books. Please read the below from William Doonan, professional archeologist, professor, dad and author of American Caliphate (Oak Tree Press) and the Henry Grave series of travel mysteries. The cover for American Caliphate (right) recently WON Venture Galleries' Best International Thriller Cover Design! Congrats to William and OTP! Thanks for having me as a guest on Murder Lab! My name is William Doonan, and I write mysteries. I’m also a normal person, who in real life doesn’t strive to figure out new creative ways to get people in trouble or killed. But that’s a story for another time. During the day, I’m an archaeologist and a college professor. This means that I have the great fortune of spending my day talking about subjects that interest me with people who appreciate them. I couldn’t be happier. By night, I’m an intrepid mystery writer..well, after I diaper the kids and play the games that nobody loses, and read countless books. But then, then, that’s when I start to work on my writing. And it has taken me a long time to get into a groove, a long time. Many years ago, I wrote outstandingly bad novels that for some reason, nobody wanted to publish. Then one evening, walking home from yet another meeting with my critique group, I remembered the one bit of advice that writing coaches keep throwing around - write what you know. I’d spent countless hours in creative writing classes and workshops, and somehow that advice never stuck. But I suddenly realized what I’d been doing wrong all along. Even though I was writing original stories, I wasn’t writing particularly engaging stories because I didn’t really know them. Looking back, I can see why nobody wanted to publish 'Pinecone P.I.' Notwithstanding the fact that a private investigator who hangs from a tree branch probably wouldn’t be that effective, I don’t really know anything about pine trees. In 'Shark Orbit', I sent two cosmonauts, a case of Polish vodka, and a two-ton mako shark, to the international space station. I know - it sounds great, right? But I know next to nothing about Polish vodka. Similarly, 'Bullets for Babes', my crime novel about Harlan and Marlon Babe, cojoined twin police officers who grew up poor in the deep South, might have some appeal. But I’ve never spent much time in the deep South among cojoined twin police officers. Clearly something had to change. So what do I know? Well, for starters, as I mentioned, I’m an archaeologist. I’ve spent years working in Central and South America excavating pyramids and palace complexes. Mummies too. I know a great deal about archaeology. And during the summers I give lectures onboard cruise ships. Over the course of sixteen cruises, I have learned a hell of a lot about cruises, including the stuff that most passengers don’t hear about. So that’s what I know. Once I started writing what I know, everything changed. 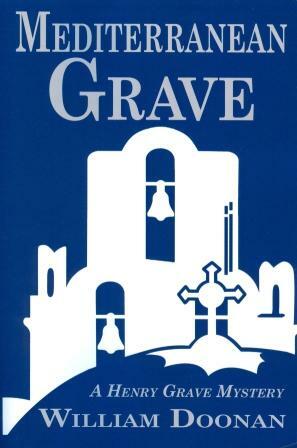 My first novel 'Grave Passage' was published in 2009. 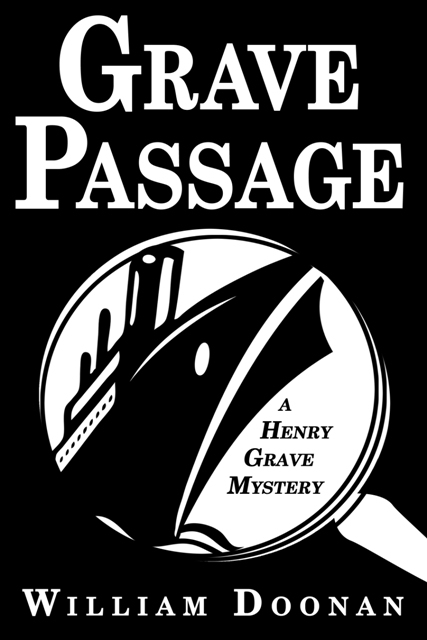 It’s about Henry Grave, an octogenarian detective who solves crimes on cruise ships. Henry Grave set sail again in 2011 in 'Mediterranean Grave', and in 2012, he was back at sea in 'Grave Indulgence'. Hey, did you know that most large cruise ships have morgues onboard? 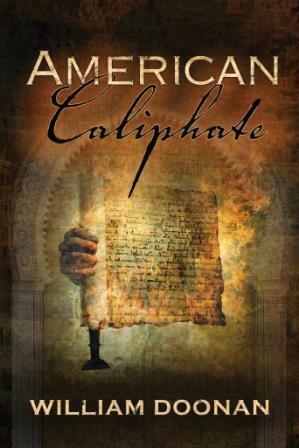 And last April, my archaeological mystery 'American Caliphate' was published by Oak Tree Press. 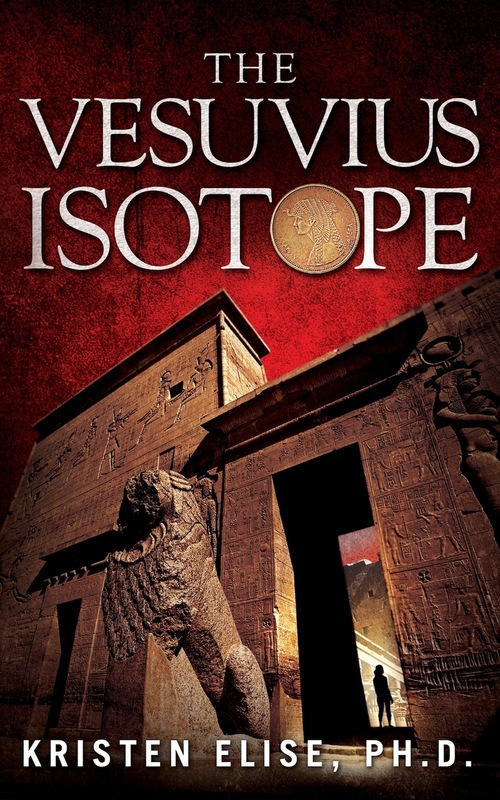 It’s based on an excavation project I worked on in Peru. We found mummies. And if you’d like to send me a shout out, I’m always happy to meet new friends and readers! This interview did indeed induce giggles! I'm so excited to have discovered this author, thank you! I'm buying 2 of his books today. My mother's entire book club loves cruising, so they should really enjoy the Henry Grave books. Hope you like the books, Sara. Definitely let me know. I've worked on sixteen cruises, and every one of them was full of people sitting around the pool reading mysteries. So I figured I'd write a mystery just for cruisers! Sounds like you were able to find a fun and appealing way to bring together your expertise, personal interests, and a waiting audience! 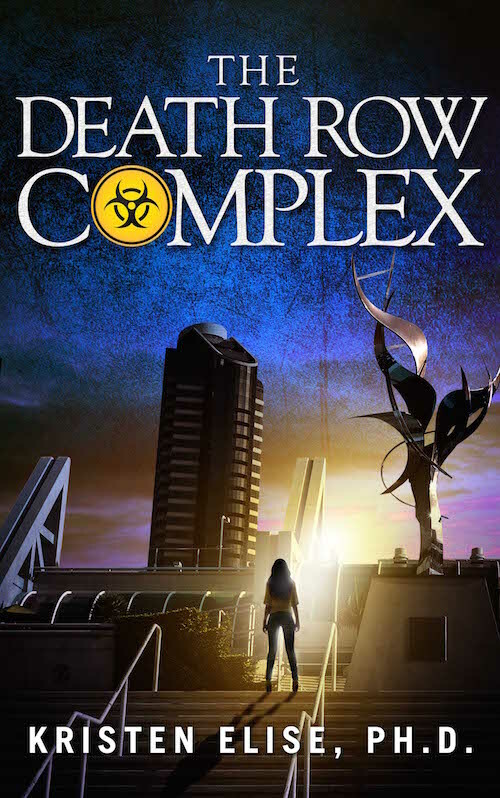 That's what I'm hoping to do with my novel about a veterinarian studying infectious diseases in central Africa. I'm a vet myself with research and public health expertise, and I know that there is an audience out there for this type of story. The big question is if I can actually sit down and write it with two kids under two and a full time job! On another note, how did you originally get connected as a cruise ship lecturer? Elliot, your book sounds right up my alley. How far along are you? I have a background in infectious disease research (humans, not animals) as well. Hi Kris, I'm not sure if I should even be spending time on websites like yours since I'm only about a fifth of the way done with my first book! 20,000 words, to be more precise. Your bio and background in biomedical research was one of the things that first brought me to your site. As you probably know, most infectious diseases don't like to stick with just one species, so that's what makes them exciting! Elliott, that sounds fantastic! What an interesting idea for a novel. I hear you about the kids - I have two little ones myself, and it seems like they want food every day. But I'm getting good at carving out time, and so can you. As to the cruise end of things, I was recruited by an agent about 13 years ago. But several high-ticket cruise lines like Crystal, Azmara (I think) and Seaborn, have in-house recruiters that look out for people. A vet would definitely be in demand. So contact them. Best of luck! Hey, read some of my cruise mysteries, then give me a shout and we'll chat about ideas - doonan1@aol.com. Thanks, Bill, for your encouraging words. I will definitely look into the cruise line speaker gigs -- it sounds like a fun way to share knowledge while seeing the world. Which of your books would you recommend to another aspiring author like myself? I was just about to get American Caliphate but wanted to double check first.